Salman Khan, the founder of Academy, have already appeared on PBS, CNN, NBC, ABC, CBS; has been invited for talks at local schools, TED, MIT, NPR; and have been featured in Forbes’ blog, just to name a few. The more recently received donation from the Gates Foundation and the prize of two million dollars from Google for winning it’s Project 10 to the 100 of Ideas to change the world (selected from 150,000 submissions), have given the necessary resources to further expand this amazing project into a full blown open education movement. Today, Khan Academy team is constantly introducing, in addition to its 2100+ instructional videos, new learning tools and software to make the learning experience that much better. Although Khan is not the first person to teach through the Internet, his easy to comprehend 10-20 minute educational presentations (also available en Espanol) and simple operations/graphics have attracted more eyeballs than most University sites. The Khan Academy aims to help anyone, be it a professional wanting to brush up on his/her skills, middle school/university student, or a person who can not otherwise afford basic education, to live up to his/her full potential. The short instructions enabled students and those otherwise eager to learn to be able to review the material at their very own pace, and as it is impossible to do in a classroom setting – to pause, to rewind, and practice as long as it is needed to master a specific subject. But outside the videos, Khan Academy offers other important tools. It provides it’s users with some great preparation resources for tests such as SAT, GMAT, CAHSEE, and IIT JEE; a world of free exercises for each of the covered subjects (with a interactive map for students to navigate through the undertaken exercises and a tool to track ones progress); and a special instrument allowing coaches (teachers) to track the progress of all their students in a class. And with nearly 42 million lessons already delivered no one is ready to stop. 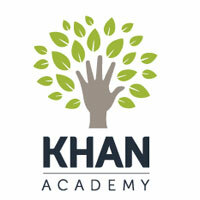 Currently Khan Academy is in the process of developing the adaptive software for all the topics covered in the videos; intend to develop simulation games to give more nuanced and applied understanding of concepts; and expand its learning materials to cover a multitude of additional subjects – translating everything into as many languages as possible. So lets help the global classroom to fully flourish. In addition, for those who for some reason are unable to access the website or its YouTube.com channel, all copies of the videos can be found at archive.org. Furthermore The Lewis Center for Educational Research, closely affiliated with NASA, is also bringing the content into community colleges and charter schools around the US, while World Possible is creating offline snapshots of the content to distribute in rural, developing regions with limited or no access to the Internet. Before revolutionizing the area of math, science, and finance education, Salman Khan, holding three math, electrical engineering and computer science related degrees from Massachusetts Institute of Technology (MIT) as well as an MBA from Harvard Business School, worked as an analyst in a Hedge Fund. His involvement in open education movement started thanks to his younger cousins living in New Orleans who, at the time, needed some basic math tutoring. However, as the time went by, the eight state distance between the cousins remained the same, and the different time schedules created some difficulties in holding a one on one session, Khan decided to record his explanations and upload it on youtube.com. It wasn’t long before the videos turned to be a huge success, and not only with his family, but people from all around the world. As the number of individuals relying on the videos as an indispensable academic supplement grew, Salman Khan decided to abandon his Analyst position in the world of finance and devote his time to producing other instructional videos, living entirely off his savings until first donations started to come in. Khan teaches exactly the way he wished he was taught before – as a lot of his own educational experience was spend being frustrated with just how information was presented in textbooks and lectures. He felt like most of the “fascinating and INTUITIVE concepts were almost intentionally being butchered into pages and pages of sleep-inducing text and monotonic, scripted lectures. I saw otherwise intelligent peers memorizing steps and formulas for the next exam without any sense of the intuition or big picture, only to forget everything within a matter of weeks.” And so the presented videos became a labour of love of a determined man with a passion to teach the same material in a slightly different form.